A high solids, acrylic copolymer floor polish formulated to provide a clear, wet-looking, protective shine on your floors. Its advanced formula is perfect for resilient tile, terrazzo, unglazed ceramic, quarry tile, paver brick, natural stone or concrete flooring. Explorer provides a tough approach to beautiful floors. It resists black heel marks, scratching, and scuffing. It is tough enough and dries fast enough for use in main lobbies, entrances, and major traffic corridors. 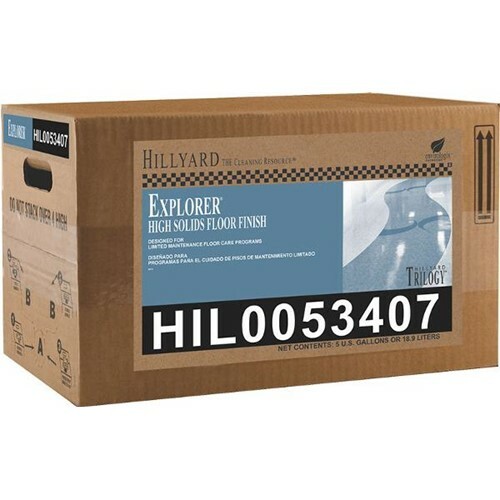 Explorer has outstanding detergent resistance.